We are pleased to present highlights from the Global Health Workers Needs Assessment Survey Report. Full-length copies of the report may be requested by filling out the form below. Under MedSend’s leadership, a working group of healthcare missions experts was brought together to design a research project to investigate how to better equip healthcare missionaries for long-term service. The result of these discussions was the design of the Global Healthcare Workers Needs Assessment (GHWNA) Survey. This survey was administered to career healthcare missionaries who have received financial support from MedSend and also to their organization leaders (MedSend Associates). In order to encompass a wide representation of healthcare missionaries and their sending agencies, survey questions were divided into three study group surveys: one for those currently serving as healthcare missionaries in the field, one for those no longer serving as healthcare missionaries, and one for representatives from participating sending agencies. The GHWNA Survey was designed to determine why missionaries committed to long-term service leave the field and also to investigate the nature and effectiveness of what currently is being done to train and support missionaries before and after they are on the field. The survey developers and sponsors hope that the survey’s findings will be used to inspire changes that will better equip and support healthcare missionaries to increase their longevity of service and to increase the impact that healthcare missions will have in bringing healthcare and the hope of Jesus Christ to future generations around the world. Healthcare missionary respondents had a mean age of 41 years. Years of cross-cultural service were 7.18 and 4.77 for currently serving and post-field missionaries, respectively. The primary area of training was medicine for both currently serving and post-field missionaries. Those currently serving spend less of their work time on clinical work, and more on administration, church or mission agency responsibilities, and general organizational leadership, than post-field missionaries did while serving on the field. The 29 individuals who represented the MedSend Associate organizations were high-level leaders, with an average of 21 years of experience in missions. 85-90% of the healthcare missionaries reported that they were able to see lives transformed, meet spiritual needs and share the gospel with those they served. Local governments were favorable to their presence as healthcare missionaries. God’s call, love of other cultures and love of healthcare work were the main reasons for committing to long-term service. Healthcare work was essential or important for 81-82% of current and post-field respondents. 16% of respondents considered healthcare work to be a platform for spiritual ministry. There was no significant difference between groups (P=0.60). Respondents considered their grants to be the main benefit they received from MedSend. Only 38% of all respondents had mentors, and only 18% of sending agencies assign mentors who are healthcare professionals. Yet the mission agencies ranked “mentoring ability” as the most important area of leadership training in their organization (4.18/5 points). The quality of mentorship was rated higher by those still on the field than those who were post-field. Post-field missionaries agreed less than those currently serving that their roles were consistent with what they expected (53% vs 62%), and both groups had a significant proportion (33-34%) who disagreed that their roles were consistent with what they expected. Role inconsistency is a problem for medical missionaries. There was a high rate of role satisfaction among both groups. Satisfaction with their roles in healthcare was 93% and 84% for those currently serving and those who have left the field, respectively. This may be related to the perception of being underprepared, where 9% and 23% of currently serving and post-field healthcare missionaries reported feeling underprepared for their roles, respectively. There was agreement among all three respondent groups about why people leave the field. Both missionary groups ranked family or personal needs as the first reason for people leaving the field, followed by interpersonal conflict, and organizational changes. 31% of post-field respondents reported their reason for leaving the field to be “successfully fulfilling a commitment,” and only 18% said “something could have been done” to prevent it. The Associates (organizational leaders) ranked successfully fulfilling a commitment as 6th. Half of post-field respondents left the field for potentially preventable reasons, most often burnout, interpersonal conflict, or emotional exhaustion — although agencies may already know this, only 40% of those still serving said that their agencies had fair, poor, or no plans for managing interpersonal conflict on the field. Respondents were more likely to still be serving on the field (vs. having returned home) if they served with large sending agencies and ones that are increasing their involvement in medical missions. Those still serving also felt better prepared, especially emotionally, before beginning mission service than those who have left the field. Those who left the field spent less of their missionary work time on administration and more of their time on clinical work. They also had a higher sense that medical work was “essential” (66% vs 52%). Among those who left the field, 49% reported adjusting back to the U.S. as difficult, and they scored their agencies a 2.58/5 on what they did to help with readjustment. 18% of those currently serving and 20% of those previously serving were individuals at risk for burnout based on callousness, and 8% of those currently serving and 21% of those previously serving were at risk of burnout for exhaustion. Post-field respondents were not as well prepared emotionally for the work; only 61% said they were prepared, while 86% of currently serving said they were prepared. About a third found their anxiety and depression to worsen since arriving, a third to improve and a third about the same. Post-field respondents saw a better fit (3.7/5) between previous training and their roles on the field than currently serving (3.3/5). Post-field respondents more highly value clinical skills training, while currently serving weigh public health equally to clinical skills in terms of training needs. Leadership training needs reported by respondents in order of importance were: mentoring, strategic planning, and general leadership skills. Most respondents prefer attending conferences in person to other modes of training. They also report preferring on-field training to pre-field training, and this is irrespective of the respondents’ ages. Less than half of agencies provide on-field continuing training, however. Sending agencies place the most emphasis on cross-cultural training, but cross-cultural healthcare workers rated professional and leadership training equally important. Only 38% of all respondents had mentors, and only 18% of sending agencies assign mentors who are healthcare professionals. The quality of mentorship was rated higher by those still on the field than it was by those who are post-field. 60% of organizational leader respondents reported no specific training for healthcare missionaries, and only 33% were very satisfied with the training their organizations give healthcare missionaries. Those who had left the field were in smaller organizations. A third of the organizations had less than 50 missionaries, and a third had more than 500, so the organizations are very different. Sending agencies have a high current demand for healthcare missionaries, especially doctors. They report 25% of new missionary candidates are healthcare missionaries. Associates report that their organizations are moving away from clinical and hospital work and toward community health work and training. 68% of sending agencies do not provide member care designed to meet the specific needs of healthcare professionals. The GHWNA Survey has provided essential information regarding the current state of healthcare missions as reported by these MedSend grant recipients and their organizational leaders (Associates). The needs in global health around the world that can be uniquely met by cross-cultural healthcare workers are great. The availability of talented and highly committed people ready and willing to serve in these capacities is remarkable. The last twenty years has resulted in a significant amount of research into missionary success and ways to prevent missionary attrition. Mission organizations are well poised to implement these best practices, and to be stewards and shepherds of the healthcare professionals who choose to serve with them in cross-cultural healthcare work. This will allow them to flourish personally and be highly effective in their service. 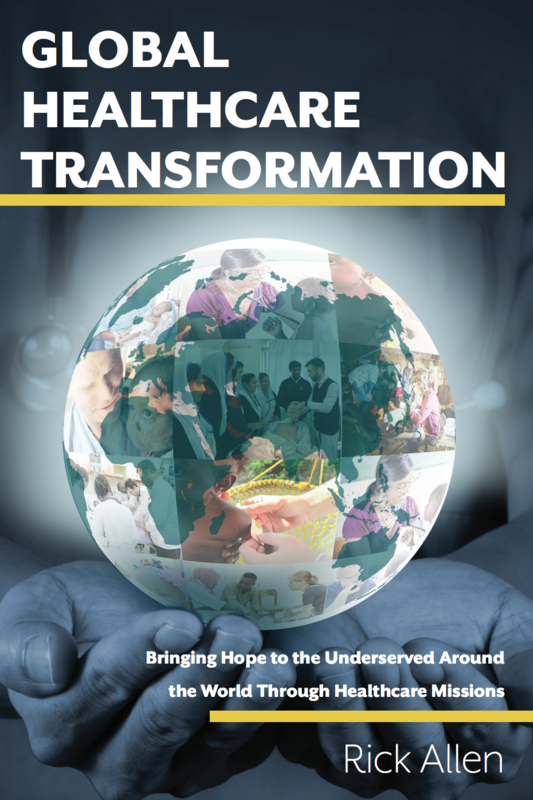 Under God’s sovereign leading, a bright future for healthcare missions can be envisioned. May people committed to this great calling take up the challenge to strengthen and expand the ways in which healthcare missions is done around the world. How are we doing? Find out how survey respondents rated MedSend’s services HERE.